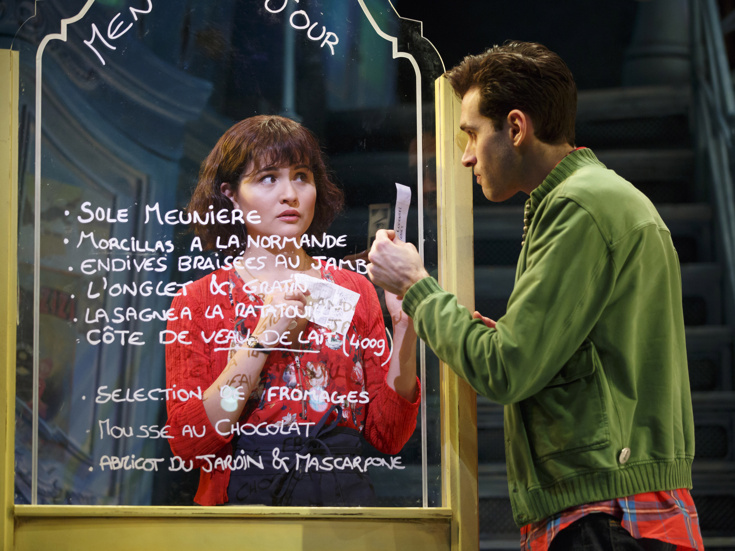 The score for the new Broadway musical Amélie will be preserved as a cast album, producers announced today. The show begins performances today at the Walter Kerr Theatre and opens Monday, April 3. The album, produced by a new imprint of the Warner Music Group, will be available for pre-order starting Thursday, March 9. It is set to be released online on Friday, May 19 and will hit stores on Friday, June 9. Tony-nominated Hamilton original Phillipa Soo leads the cast in the title role, with Next to Normal vet Adam Chanler-Berat as Nino, Sweeney Todd Tony nominee Manoel Felciano as Raphael/Bretodeau and Priscilla Queen of the Desert Tony nominee Tony Sheldon as Collignon/Dufayel. The cast also includes Emily Afton, David Andino, Audrey Bennett, Randy Blair, Heath Calvert, Alison Cimmet, Savvy Crawford, Trey Ellett, Harriett D. Foy, Alyse Alan Louis, Maria-Christina Oliveras, Destinee Rea, Jacob Keith Watson and Paul Whitty. With a book by Tony nominee Craig Lucas, music by Daniel Messé and lyrics by Messé and Nathan Tysen, Amelie is directed by Tony winner Pam MacKinnon. Amélie is an extraordinary young woman who lives quietly in the world, but loudly in her mind. She covertly improvises small, but surprising acts of kindness that bring joy and mayhem. But when a chance at love comes her way, she realizes that to find happiness she’ll have to risk everything and say what’s in her heart.